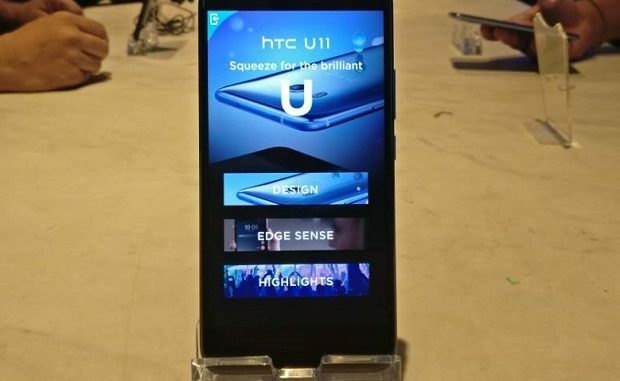 Taiwanese smartphone maker HTC’s latest, the ‘squeezable’ HTC U11, appears to have all qualities of the flagship breed – several technological innovations with powerful innards in a compact body. 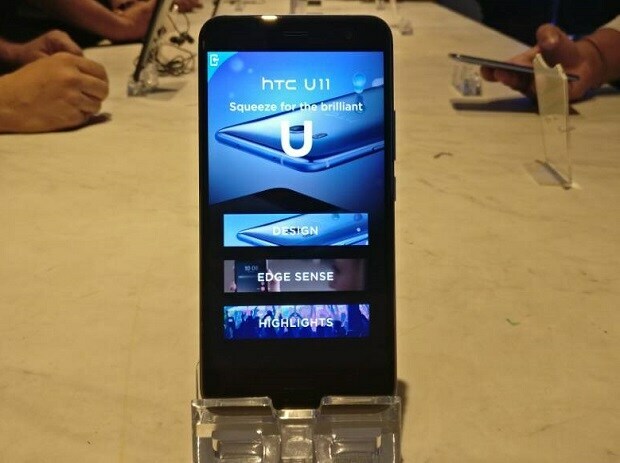 In the premium segment, the HTC U11 not only offers top-of-the line specifications but also innovative features like the HTC Edge Sense, USonic and BoomSound. HTC seems to have taken a rather traditional approach to the design form of the HTC U11. Having experienced other recent flagship smartphones like the Samsung Galaxy S8 and S8+, the design language of HTC U11 might seem boring. It is the first time since the M7 series that HTC is moving from metal to 3D glass for the front and back of the body. The Gorilla Glass 5 covers the device, with a metal frame sandwiched. At a time when competitors are working hard to remove the bezels completely, the HTC U11 disappoints with bezels that are noticeable on sides and huge on top and bottom. The phone could have easily had a bigger 5.7-inch screen size in the same form factor. In fact, even the home button with an embedded fingerprint sensor is small and placed at the lower bottom, making the device prone to accidental fall. On the rear, the smartphone has a new ‘liquid surface’ – basically a replication of the water property of reflecting multiple shades of colours. But glossy back is a fingerprint magnet. Thankfully, the HTC U11 comes with a cleaning cloth in its box! Another major thing to notice in the HTC U11 is the absence of a 3.5mm audio jack. The smartphone otherwise scores highly with its brilliant audio quality, both through speakers and headphone. However, we will dwell on this aspect in the later part of the review. The HTC U11 sports a 5.5-inch Super LCD 5 screen of quad-HD (1440 x 2560) resolution in a 16:9 aspect ratio. While the screen is good and delivers consistent performance, – on a par with the best screens available in other premium smartphones – the absence of futuristic technologies such as HDR-ready display and 18:9 aspect ratio are hard to miss. Considering that most of the content is available to run on a 16:9 aspect ratio and a transition to 18:9 ratio may or may not eventually happen in future, HTC seems to have taken a safe bet with the use of a traditional aspect ratio. For a device with such a large stature, a 5.7-inch screen could have been the best fit, but the company might have played safe here as well and chosen to design the device with the best of both worlds. The HTC U11 is a real powerhouse when it comes to technical innards. The smartphone is among the first to be powered by a Qualcomm Snapdragon 835 processor, coupled with Adreno 540 graphic processing unit (GPU) and Snapdragon X16 LTE modem that offers LTE speed up to 1 Gbps. The device has a massive 128 GB internal storage that supports universal flash storage (UFS) version 2.1, expandable up to 2 TB using microSD, and a whopping 6GB RAM. The smartphone works perfectly, with no signs of lag or need to reboot, even after extensive use. The device does, however, get a little warm after prolonged use but does not heat up exponentially. The most interesting part about the HTC U11 is that, in a first for any smartphone, it can be operated using squeeze-based interactions. The smartphone makes use of an array of pressure-sensitive sensors on both of its sides. These sensors recognise a ‘squeeze’ action to deliver app-specific features. For example, a single squeeze could open the camera and another squeeze could click a picture. The squeeze feature could be customised to effect a single-click or double-click command, based on your preference, to deliver the desired result. The strong hardware is complemented by a brilliantly optimised software. The device runs Android Nougat v7.1.1, covered under HTC Sense User Interface, which maintains a balance to offer consistent performance. There also are a few hidden perks like multi-window, the HTC Boost plus app and Power Optimiser app that work in sync with the hardware to improve the overall utility of the smartphone, without consuming too much of its battery juice. The Sense UI in the HTC U11 is equipped with three digital assistants – Google assistant, Amazon Alexa and HTC Sense companion. The assistants open numerous venues for you to begin exercising assistant services. Camera is one department where HTC has come back with a bang. This department, usually controlled by Samsung and Apple, has seen immense activity of late. Things are going to hot up further, with the HTC U11 bringing the best camera with an accreditation from DxO, a software company with expertise in image processing software and photography benchmarking tools. The smartphone’s camera scores 90 in DxOMark4. The HTC U11 sports a 12-megapixel (MP), bright f/1.7 aperture rear camera, assisted with phase detection autofocus, optical image stabilisation and dual-LED flash. On the front, there is a capable 16MP camera with f/2.0 aperture for perfect selfies. The rear camera is a real performer, much ahead of competition, and does well while recording 4K videos, too. The only weakness is the slow-motion recording, where the Sony Xperia XZ Premium is an undisputed king. Taking a different approach to video recording, HTC has also improved the overall sound recording capabilities during video recording. Promoted as Acoustic Recording, the camera makes use of 4-omnidirectional microphones to record the sound of far-off subjects. For example, if you need to record a musical gig without the noise around, you could zoom in on the subject and all the microphones would come into play. The microphones would eliminate the noise around and focus on the sound coming directly from the subject. This feature improves the video-recording capabilities of the smartphone and is sure to win accolades for HTC. HTC introduced BoomSound speakers in its ‘M-series’ smartphones and the technology soon became a favourite among audiophiles. The BoomSound speakers not only deliver excellent audio output, but also offer by far the most clean, crisp and perfect audio experience on a smartphone. In terms of quality, the BoomSound speakers on the HTC U11 are louder than the previous generation. In this speaker set-up, the front earpiece works as a tweeter and the bass is handled by a dedicated speaker mounted at the bottom. 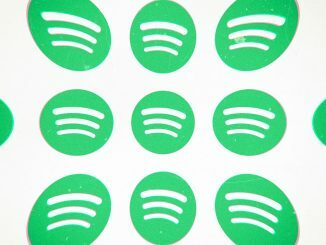 The device sports a music and theatre mode, which adjusts the frequencies to deliver immersive sound experience as soon as you play a video or music on the device. The mode can be changed from the notification area. In terms of audio routed through wired handset, the quality is equally good – courtesy the HTC USonic headphones that come bundled with the handset. The USonic headphones take the game to another level by adjusting the experience based on your listening habits. At first use, the headphone analyses the ear and modifies the sound output based on the information received by the headphones. The smartphone then optimises the sound output to deliver output specially aligned to your ears. The headphone makes use of a USB type-C port to take its power and digital audio signals. The absence of a 3.5mm audio jack seems to be the only negative. 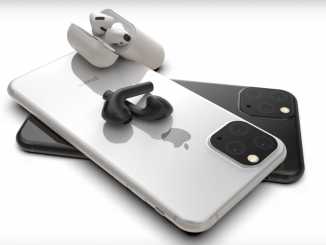 However, since HTC has bundled USonic headphones with the device, that should not be much of a problem. Powering the HTC U11 is a rather modest 3,000 mAh battery. The smartphone features ‘Boost app’ to monitor and adjust the processor to suit your usage. The ‘optimise’ feature of the boost app reduces the power consumption to an extent. The battery does not return good numbers, and that is one of the major let-downs of the smartphone. The device works for barely half a day before asking for a refill. 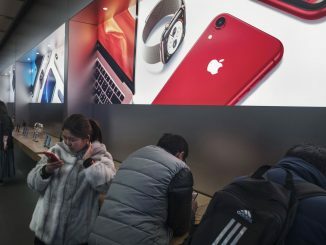 On limited use, the smartphone might run for just about a day. 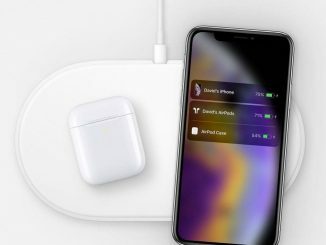 The supplied rapid charger refills the device quickly, but the usage increases many times over if you are recharging with your screen on, and the refill time increases to more than two hours. The current line-up of premium devices from different manufacturers shows that the smartphone game is going to get much more interesting. 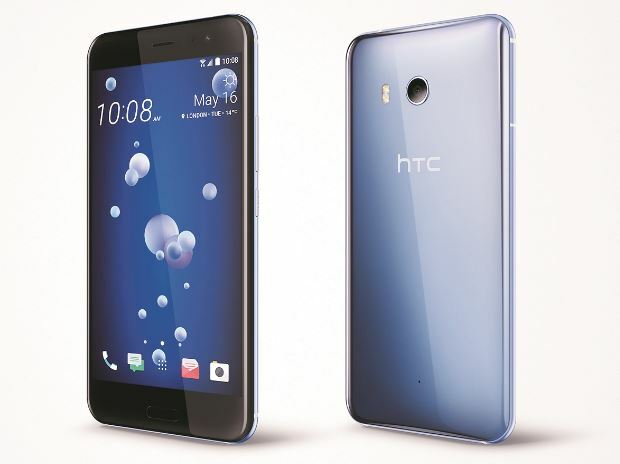 The HTC U11 can be a perfect choice if you are looking for a premium smartphone with brilliant camera, incredible audio output, consistent performance, top-of-the-line innards, ample storage and RAM. Also, at Rs 51,990, the smartphone is the most affordable in its league and seems to have been competitively priced.